For over a thousand years, Order and Chaos have molded the island of Recluce. The Saga of Recluce chronicles the history of this world through eighteen books, L. E. Modesitt, Jr.'s most expansive and bestselling epic fantasy series. Brandon Sanderson, New York Times bestselling author of The Stormlight Archive, calls it "Essential reading for any fan of the increasingly impressive world that is Recluce." 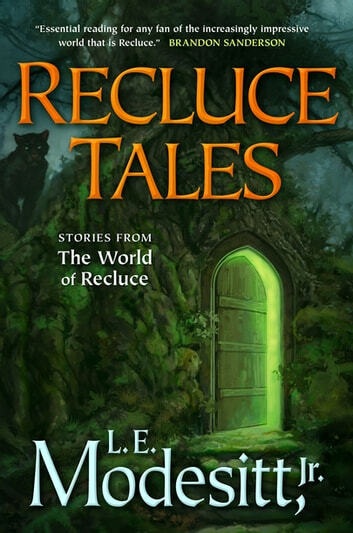 Recluce Tales: Stories from the World of Recluce collects seventeen new short stories and four popular reprints spanning the thousand-year history of Recluce. First-time readers will gain a glimpse of the fascinating world and its complex magic system, while longtime readers of the series will be treated to glimpses into the history of the world. 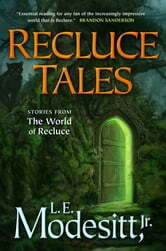 Modesitt's essay “Behind the ‘Magic’ of Recluce” gives insight into his thoughts on developing the magical system that rules the Island of Recluce and its surrounding lands, while “The Vice Marshal's Trial” takes the reader back to the first colonists on Recluce. Old favorites “Black Ordermage” and “The Stranger” stand side-by-side with thrilling new stories. Loved the stories and how they tied in with what I have read already, more then once. Lovely collection of tales. Many fill in gaps in the Recluse stories in wonderful small ways. A great read.